Following Root Canal Treatment. Trauma or deep decay can damage the interior of a tooth – the pulp and root canals –and endanger its survival. A root canal treatment cleans out and repairs these areas, filling them with a special filling to prevent further infection. 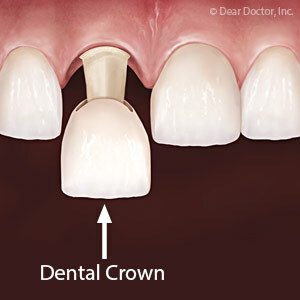 A crown is usually necessary to both protect the tooth and restore its appearance.